No doubt many of our clients are relieved that the 31st January deadline has now passed and are looking forward to workloads returning to normal levels! As you would expect the calls to our tax advice line increase significantly during January, with call volumes almost double the number that we normally receive. Our Tax Advice line also handled 20% more calls this January than it did in January 2018, an increase that is indicative of the growth we have seen in accountancy clients and the increasing value that those clients place in this service. Despite the increase in numbers, 85% of all calls taken were answered by a tax consultant first time, without the need for a call back. Where none of our advisors were available and a request for a call back was made, nearly all call backs were dealt with within two working hours of the original call. 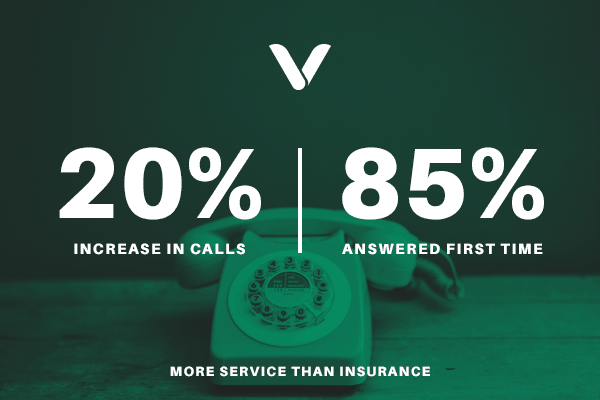 At Vantage we deliberately overstaff our tax advice line, in order to ensure that you get through to an advisor first time and the advisor has the time to consider your query fully. We really pride ourselves on the quality of this service and were delighted to see that this quality was maintained throughout January. Not forgetting that when you speak to our advisors you are speaking to some of the most experienced consultants in the industry, not just from working on tax advice lines but in private practice and / or for HMRC. This experience ensures that our consultants can give you the right answer, first time. So if you are a Vantage client and have a Tax or VAT query, don’t forget that we are here. All you need to do is call 0116 243 7892 and quote your practice name and Policy Code. If you want to find out how you can become a Vantage client call 0116 274 9123 and select option one.